It did this by including movements from the Shaolin Monk styles that have existed for centuries in China. These movements are primarily characterized by their circular nature and their pronouncedly skewed stances and body positions. 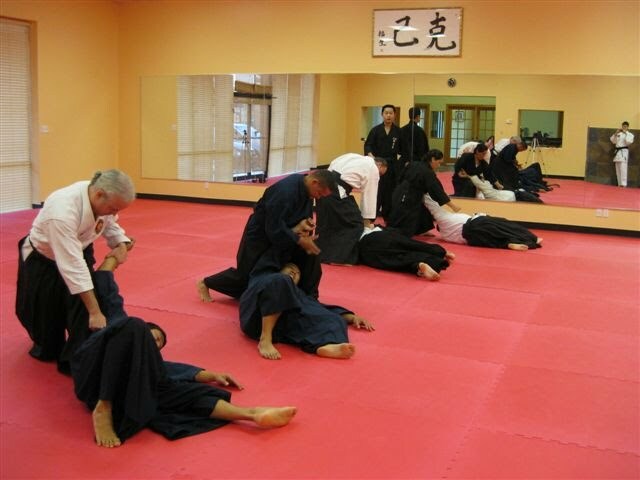 As Miyake Sensei progressed through his study of Shorinji Kempo (He received his 6th Degree Black Belt from Doshin So in 1978), he began to wonder if perhaps there was way to improve on what he had already learned. He began shortening long circular movements, correcting body position, emphasizing sharp movements that would produce punches and kicks that were accurate and extremely powerful. 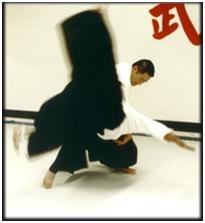 He also stresses Japanese Kempo and Karate techniques to make Aiki-Jujitsu more effective and realistic as Budo (Japanese Martial Art).